My fiancé and I have been in France since August 30th, enjoying a combination of early honeymoon and a Brain Disorders conference. 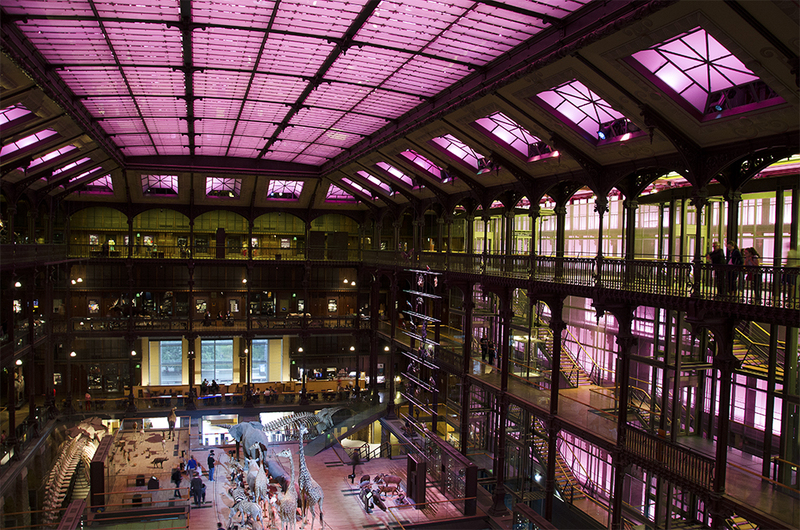 This post, rather than offering anything innovative and particularly wordy, is a bit of a photographic walk through some of Parisian science, especially that of post-revolutionary Paris. 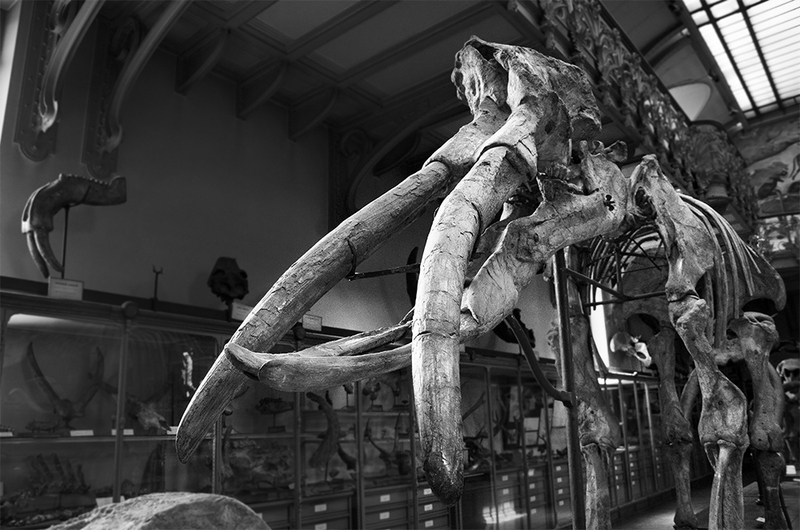 But first, a little bit about the history of the National Museum of Natural History, aka Muséum National d’Histoire Naturelle (MNHN). 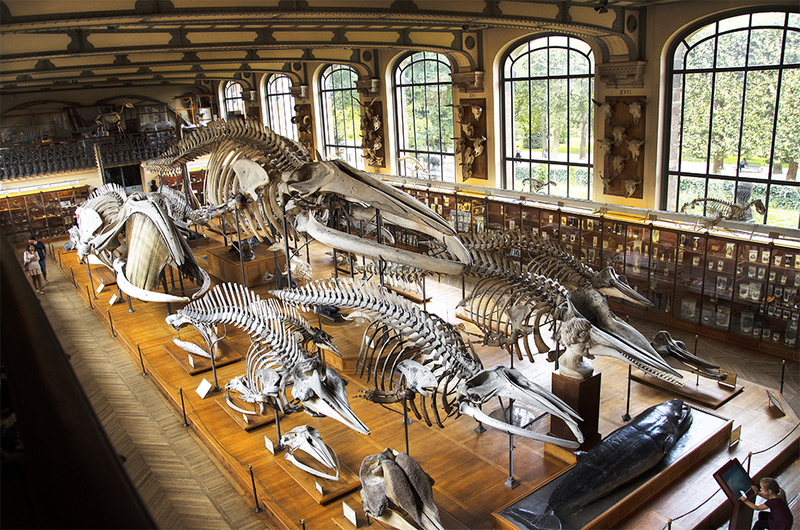 In actuality, it’s currently a series of seven separate museums located across France, but the original museum is a series of several buildings at the Jardin des Plantes, on the left bank of the Seine in Paris. The Jardin des Plantes was originally the Royal Medicinal Plant Garden created by Louis XIII in 1635. However, later during the French Revolution it became the national museum. The Revolutionaries supported liberal intellectualism during this time and thus taking and claiming the museum as a site of national property was a statement of liberation for the French. 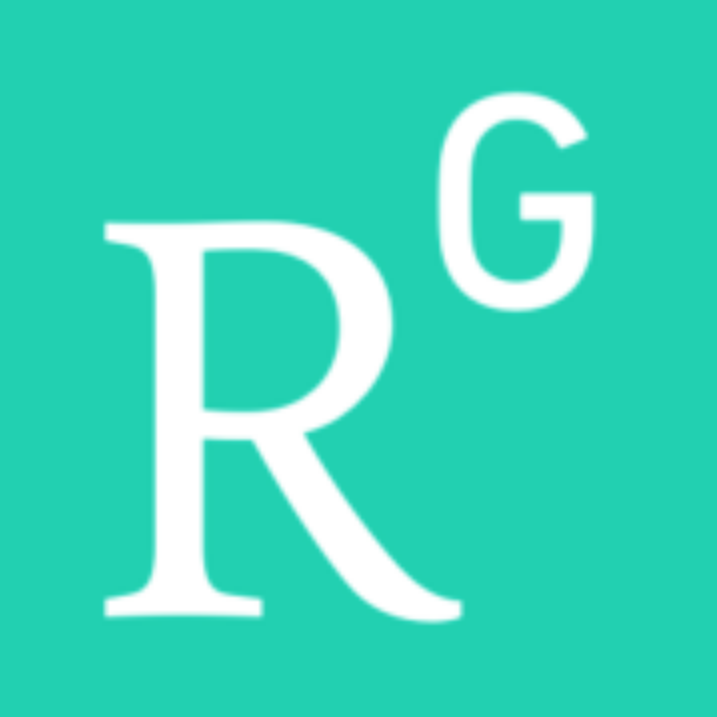 Aristocracy and nobility in England, on the other hand, saw French intellectualism as an incitement towards rebellion; therefore, talk of transmutationism (i.e., “Evolution”) was a comparatively taboo topic in Great Britain during the time. French scientists, however, led much in the way of revolutionary scientific ideas. 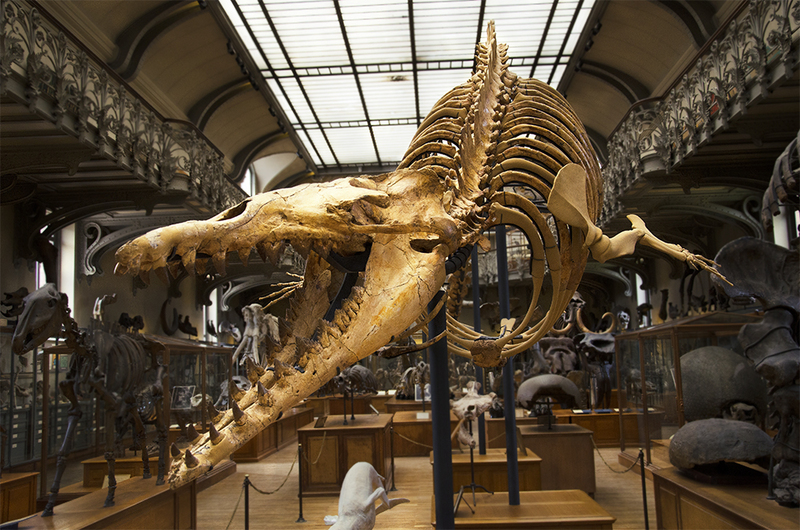 As for our visit, one of my favorite museums on the campus of the Jardin was, by far, the Museum of Comparative Anatomy and Paleontology. Sadly, I didn’t think to take a picture of the building itself to show you, but did spend quite awhile snapping away at the skeletons and fossils contained within. 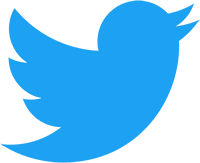 Below is a statue that adorns the entrance hall of this building. On first glance, it’s a bit “planet of the apes” and is somewhat disconcerting. 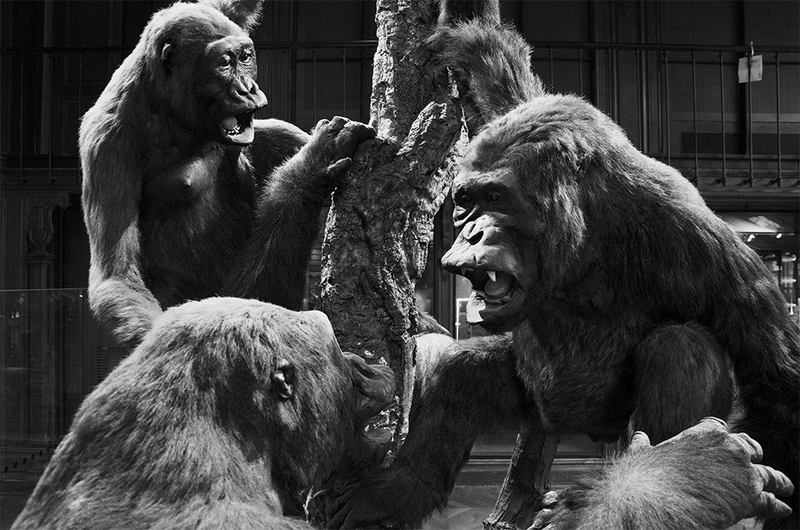 However, the idea of the ape overpowering and strangling man, reminding us that we ourselves are animals despite a traditional somewhat narcissistic view of man being separate from other animals, is extraordinarily evocative. 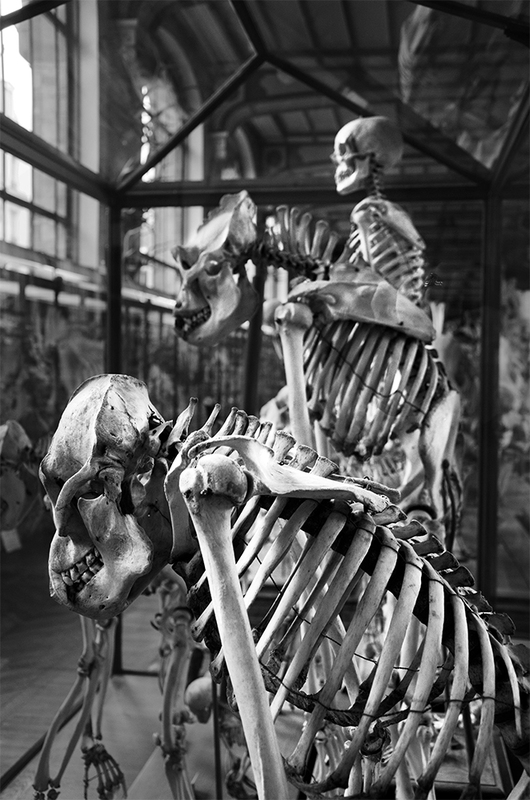 The next image shows at the forefront a chimp skeleton, followed by gorilla, and finally man. 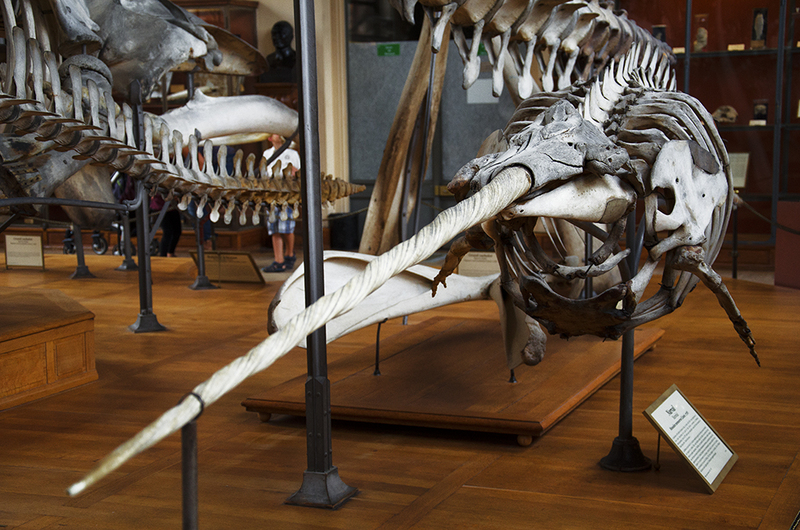 The museum had an extensive collection of whale skeletons. 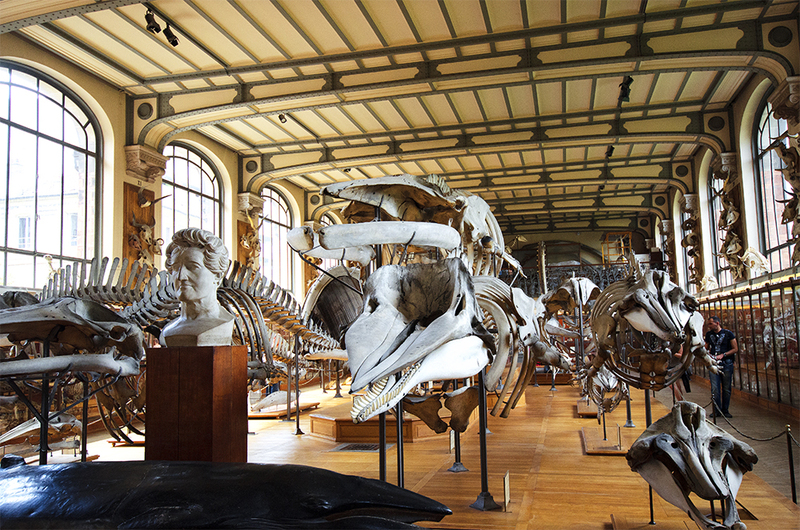 Here is another view of the whales, with a bust of Cuvier leading the way. 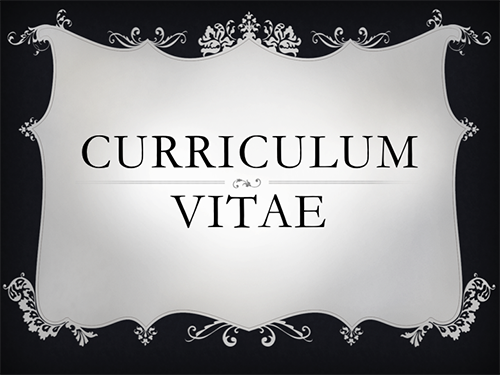 Cuvier, by the way, was a brilliant scientist but did not support early theories of evolution. He believed that the bodies of animals were too complex to evolve modularly. Of course, in Revolutionary and post-Revolutionary Paris he didn’t have the benefit of the knowledge of molecular biology. In a small section of one of the cabinets lining the walls was held the museum’s collection of “monstrosities”. 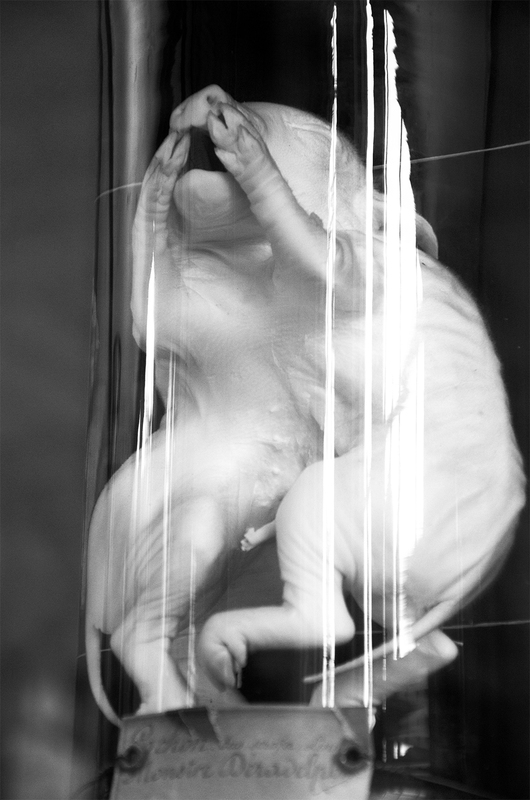 These typically included severe developmental malformations, especially of parasitic twins. Below is an example of piglets that share a head and upper limbs, but who have separate hindquarters. Once again, an example of a kitten with a less-than-well-formed parasitic twin. These next specimens were located on the second floor of the museum, the fossil room. Below is an example of Cynthiacetus peruvianus, a basilosaur ancestor to our modern-day whales. Here, once again, is a sabertooth. 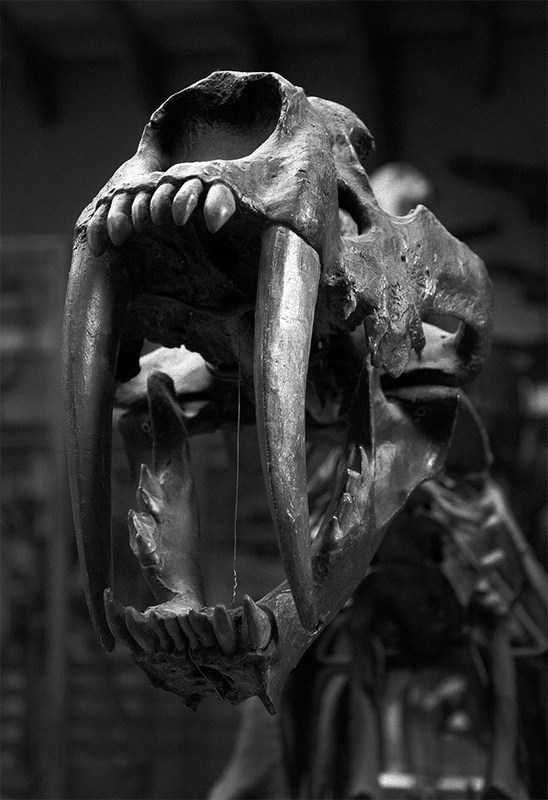 Specifically, Smilodon populator. 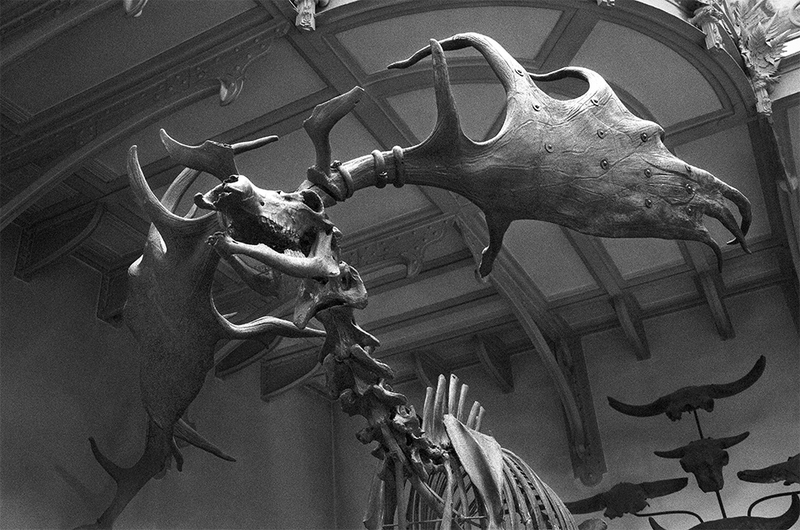 An Irish elk. This thing was HUGE!!! 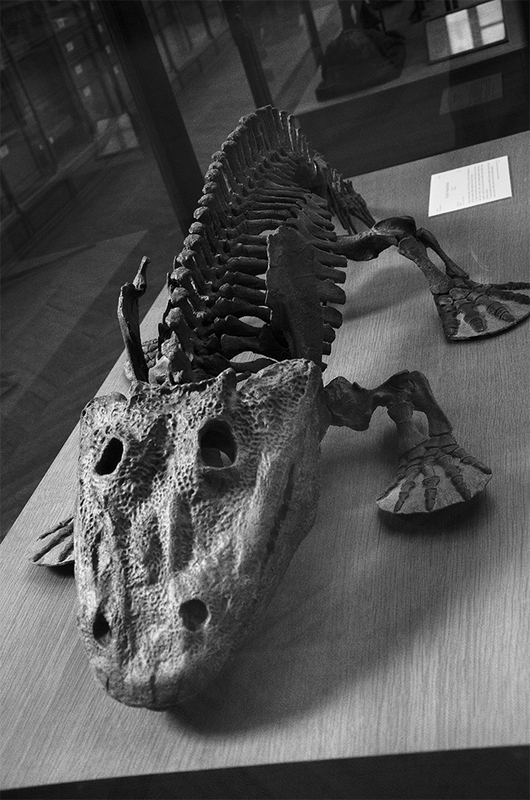 Here’s Eryops megacephalus, a type of semi-aquatic amphibian that lived about 295 million years ago. 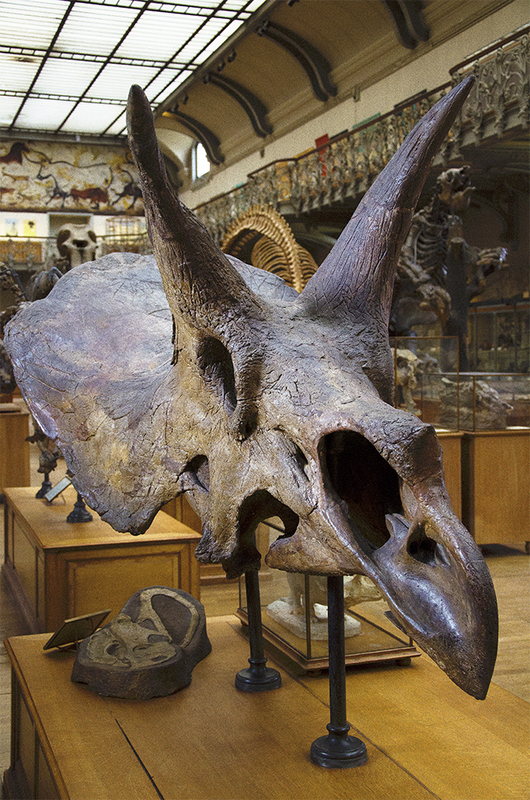 This of course is a Triceratops skull. The collection housed a nice selection of mid-sized dinosaur fossils. Unfortunately, due to time constraints, we didn’t make it to the third floor where they house their invertebrate fossil collection. 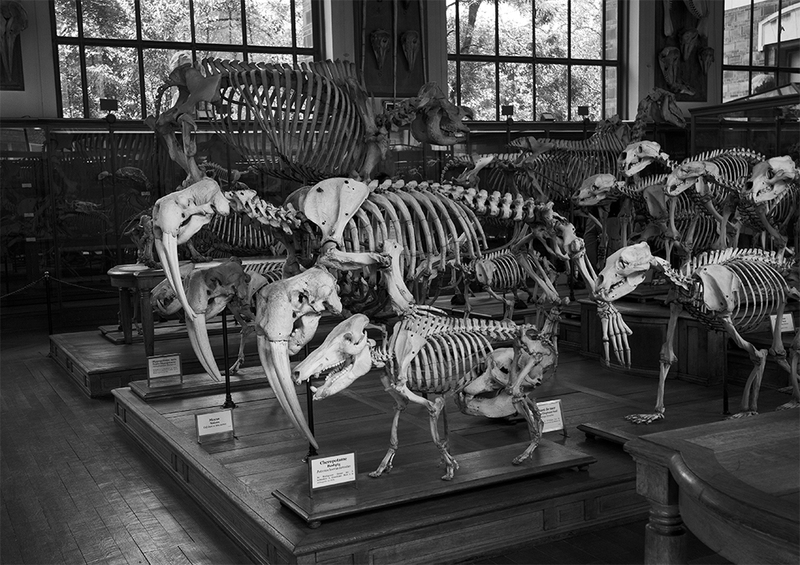 But from here we went on to another museum on the campus, the Grand Gallery of Evolution, which housed primarily their taxidermy collection. Sadly, I didn’t take quite as many pictures as I would have liked because the dim lighting made photography (minus a flash) somewhat challenging. But in any case, below is the main hall of the museum. 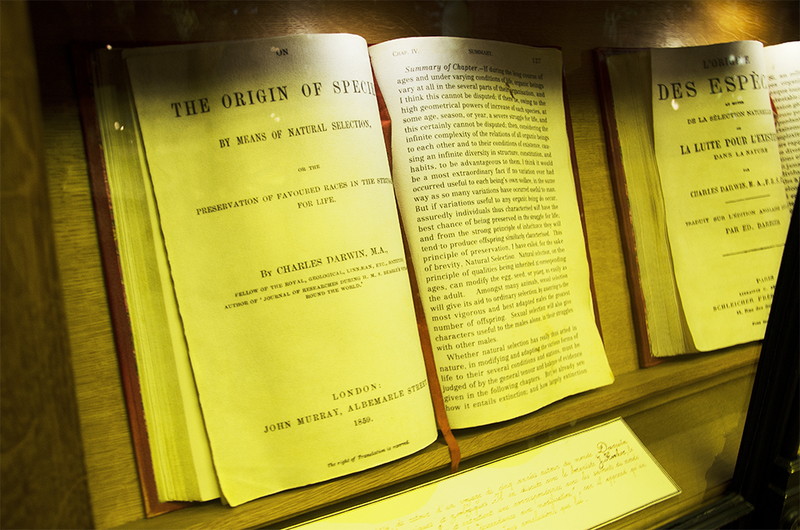 I was fascinated to find that on one of the upper floors, they had 1st English and French editions of Darwin’s The Origin of Species displayed for all to see. 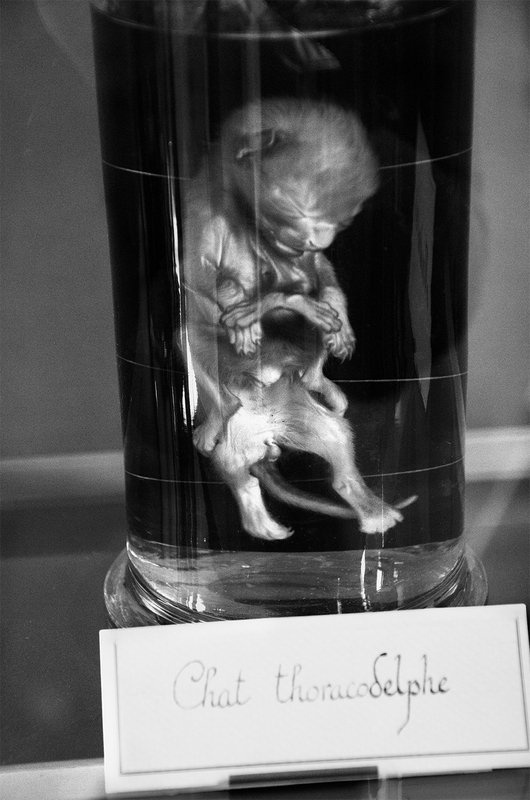 Some excellent examples from their primate collection. Of course, the poses these animals have been put in seem more Victorian and passé now, as we tend to think of gorillas as gentler (albeit still deadly) compared to their chimpanzee cousins. But the artistry of the taxidermy is impressive– though sad to think that these spectacular, and rare, animals lost their lives to our science. 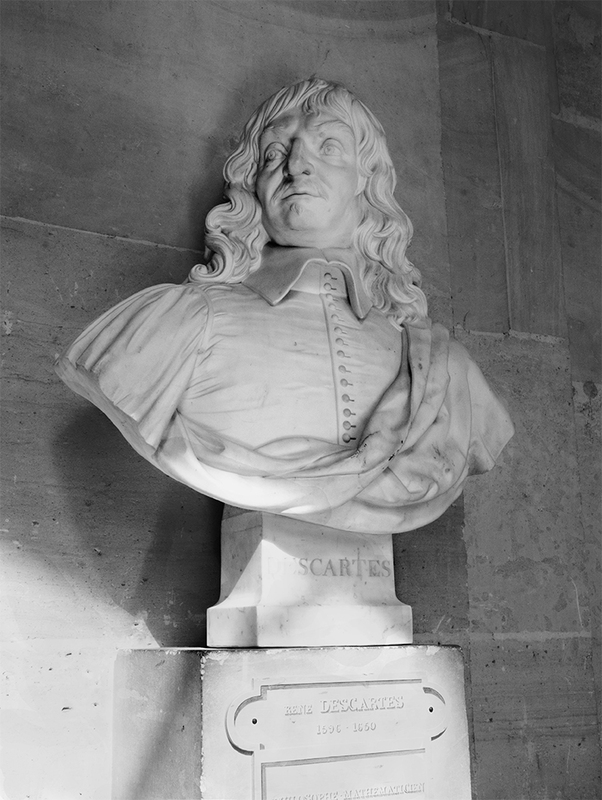 This final picture, a bust of René Descartes, was not actually taken from the museum– nor even from Paris, but from the palace of Versailles. But when speaking of the development of natural history, how can one leave out Descartes? I think not. 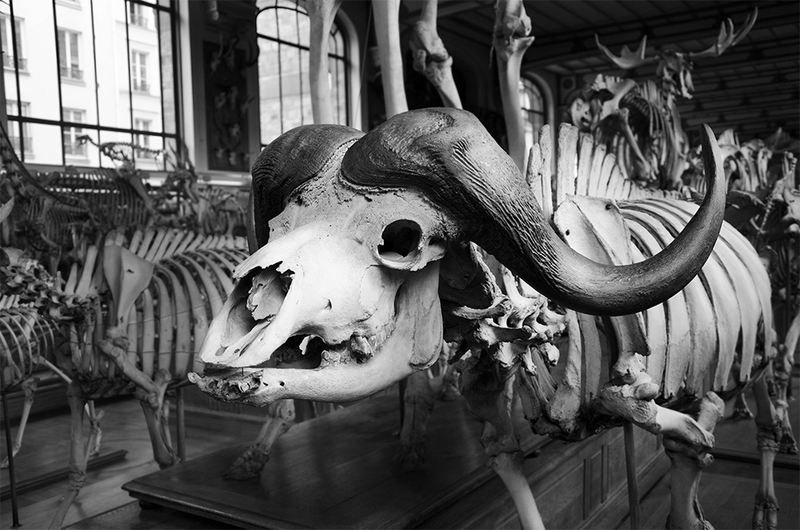 Well, that’s my photographic mini-tour through Parisian natural history. I hope you enjoyed it. I highly recommend, should you pass through Paris, take an afternoon and visit the Jardin des Plantes. The gardens are beautiful and the museum brims with science history.